What is the secret to crafting winning college essays? Before we share with you some of the tricks, you should know that everybody can learn how to write a winning college essay. It’s not the ability we are born with, or some “writer gene.” It’s the matter of practice and training your writing skills. “So,” you’ll ask, “how do I write my college essay like a pro?” This guide will definitely answer your question. Before writing your college student essay, you should answer the three most important questions: “What?” “When?” and “Why?” We’ll view those in more detail below. In the article, you’ll also find a bunch of useful tips for writing a college essay on any subject, of any complexity and size. So, let’s start with looking at the situations you’ll need your essay writing skills the most. What you write in the essay depends on the type and purpose of writing. It can be an SAT essay, application essay, or term essay. Moreover, you’ll be challenged with an essay writing task throughout your studies. There is a slight difference between how to write a college application essay and, say, English literature argumentative essay. We’ll get back to this later. And now, what will you write about? Picking the right topic is the key to an effective essay. Sometimes, you’ll have the prompts, like in the case of college application essay topics. Your task is relatively simple — go with the one that relates to you the best. If you have trouble choosing, then brainstorm. Write down the ideas that come to your mind and select the best one. When composing a great essay, you’ll need to answer a number of additional “what” questions. “What information should I search for?” “What facts do I use?” “What conclusions do I need to make?” Choosing a specific topic and writing it down will help you partially answer those. “When” refers not only to the particular time when you are writing the essay or the deadlines you have to meet. It is more about the topic and its time frame. When did it happen, the incident that you are writing about? Was it long ago or has it happened just recently? What was the context of the situation at the time it occurred? And so on. When you are writing a personal essay, your task is to engage the reader with your story. You can do it by placing him or her into the scene; to do this, you must create a sense of place and time. When you are doing an argumentative essay, you should refer to the time for the purpose of specificity. The “When” can help your reader determine the consequence of events, their order, and logical connection between them. So, don’t ignore the “when” question, better answer it in the beginning. “How to write a college essay?” is a question about the style, structure, formatting, the language itself, and other things. Besides, as we’ve said before, it’s also the matter of your essay’s purpose (college application, homework, or improving your course grade), the subject, and the essay type. 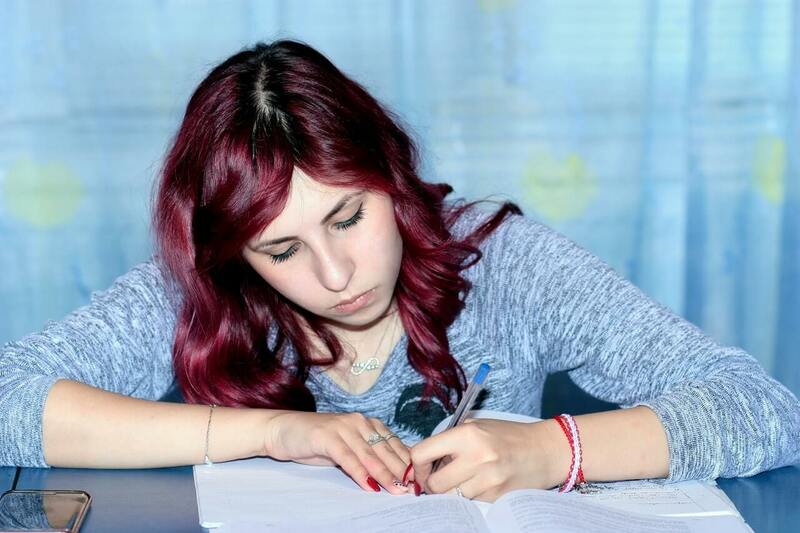 Admission essays are more like personal narratives where you need to express your personality, and college essays are often — but not always — argumentative; their task is to convince the audience of a certain point. Below, we’ll list some tips on crafting decent pieces no matter what their purpose is. Outline. Before you start your composition, make an outline. This will help you to stick to the point, manage your writing time better, and omit the superfluous information. When writing, be honest with your reader. If your writing is authentic, the audience will believe you. If not, you won’t deceive them. Remember that you are the expert in your topic, and your task is to share your knowledge and experience with others. Do it genuinely. Use detailed descriptions, but stick to the point at the same time. While you need to expand your thought and make your ideas and opinions clear to the reader, your task is also not to overload them with information. Be both precise and concise. Do not overuse facts, but rather focus on your feelings and emotions. Even better, use the actual details to describe your personal experiences. Bear in mind, the purpose of an essay is not to recount events, but to draw a conclusion of them. Revise what you have written. Never submit an essay without reading it carefully after it’s done. Everyone makes mistakes, and you’ll probably make a few too. So be sure you’ll notice them before your instructor (or college admission committee) does. Additionally, revision can help you have a general look and feel of your paper. Leave some time to do the final corrections, just in case. Get a second opinion. It’s always great to have your friend or parent read the essay. Their feedback can be valuable for you. Use it to improve the paper. If you still feel lost and can’t make yourself to start, you can contact a college paper writing service. It can be beneficial for you to ask experienced college paper writers for a model paper; you can use it as an example for your own piece. You can also get help with picking a topic, outlining, or editing. Remember though that when you get your college papers online, you cannot submit them as your own. Every time you need to compose a decent essay, ask yourself the three questions first: What? When? and How? Before you even start, pick a vivid topic, choose something that you know and care about. Afterwards, establish the setting of your narrative, make references to the time and place of the events or facts. Furthermore, pay attention to your writing style, work out the details which are meaningful but omit the tiresome minutiae. Focus not on facts, but rather their effects on you or on further events. Most importantly, always remember about the reader; make sure that they will find your writing engaging and useful.